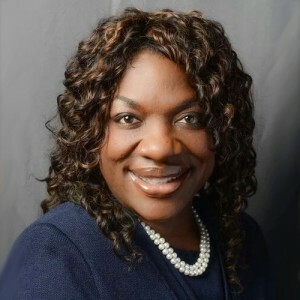 Former State Rep. Dee Dawkins-Haigler served in the State House from 2009 to 2017. In 2017, she ran for the Democratic nomination for State Senate District 43 and lost to former State Rep. Tonya Anderson. Other candidates for the Democratic nomination for Secretary of State include former Rockdale County Tax Commissioner RJ Hadley and former U.S. Rep. John Barrow (D-GA). Georgia needs a rehaul of our entire voting system. Like many states, Georgia is utilizing outdated voting technology that can be compromised. The current voting machines do not have the capacity to provide paper audits; nor did the proposed legislation make that mandatory. The legislation presented, while laudable for its attempt to address the antiquation of the current system, fell short by not making it mandatory for an auditable paper system to be put in place. Our current voting machines have been proven to be manipulated. Therefore, without paper ballots or receipts, a recount would be “technically invalid” as the same information will be tabulated. It is imperative that we have a comprehensive study on voting and voting technology. This is why I sponsored legislation in 2014 to create a study commission on voting. Georgia should have automatic voter registration for all of its legal citizens unless they are currently serving time for a felony or still on probation/parole for such crime(s). That being said, we should implement a system where everyone of legal age is registered to vote unless they “opt out”. This basically means that unless you ASK to NOT be registered to vote, you are automatically opted in. This includes, but is not limited to high students once they reach 17 ½ years of age; those who pay state taxes, are enrolled in college, receiving state assistance, and those acquiring driver’s licenses or state ID. In 2015, I co-sponsored legislation for automatic voter registration when individuals are getting driver’s licenses or state ID. Yes, I support same day voter registration. It is imperative that we make voting a priority in which all citizens have access to the ballot box. This is why I introduced legislation in 2015 for same day voter registration. Voter Registration and participation have to be priorities for the Secretary of State. Even with online voter registration, we have to put in practice mechanisms that will generate more voters and increase voter participation. The Secretary of States could begin by making the website more constituent-friendly. More emphasis could be placed on registration in senior citizen centers; high schools; colleges; places where individuals receive state assistance; and in non-conventional places like farmers markets, state fairs, sporting events, concerts, etc. There might be additional locations to get people politically engaged, whether they are conservative, moderate or liberal. Making election days holidays would also increase participation. We should meet homeless people where they are; treat them with dignity and respect and guarantee that they are provided with the opportunity to vote. The Secretary of State can make sure that the elections division utilizes community partners that will make sure we are efficiently and effectively dealing with registering vulnerable populations such as homeless individuals, veterans, and disabled persons, etc. Have a shelter designated as a polling place. This should prove both effective and creative. Have volunteers “on call” to walk or drive clients or shelter residents to designated polling places. Arrange for a church or school bus to shuttle people to the election sites throughout the day. Encourage taxi companies and other forms of public transportation to provide free rides to the polling places. Strict parameters should be established before a citizen is purged from the rolls. Objective, reasonable guidelines must govern this process. For example, verifiable evidence of death or change of residence might be indicators. Unlike recent practices of purging individuals simply because they had not voted in the past three years, I would employ criteria that includes not excludes representative voter participation. We must move beyond mail notification. I think the petition requirement is a hindrance to our democracy. Any citizen should be allowed to run for office and be on the ballot without having to secure signatures as long as they pay the same fees as all other candidates. As a matter of fact, I signed the petition for the libertarian candidate for Secretary of State to be on the ballot. Even though he is an opponent, I feel that he has the right to run for office. I believe that once individuals have paid their debt to society, all citizenship rights should be fully restored; including the right to vote. No waiting period after sentence is complete should be employed. Individuals should be given the opportunity to register before being discharged from prison. Individuals not yet convicted should also be able to exercise voting rights. I believe the 21 days allotted are sufficient and should not be decreased. However, each Saturday within that three week period should be available for voting. Many of our constituents are not able to vote within regular time constraints, i.e., hours and days on which polls are open. We should always lean heavily towards being more inclusive and less exclusive. Ga is the largest state east of our Mississippi. We are the home to 100’s of corporations, university groups and military institutions such as Dobbins as well as Fort Gordon. We are not asking for South African Gold Bars but we do need money for extra personnel, facilities and training courses such as ESOL, HIV prevention and care for the elderly and disabled at home. I will debate with any statewide groups in good faith.letter written from the Clayton Co.